A classical drink that warms the mind and the soul. The marriage of specially vintaged wine with the wood of oak under the aging process and their mixture with sweet wine muscat, yields a distinct product with a delicate aroma and an exquisite taste. 5 AND 7 STARS 40% vol. 200 ml. | 700 ml. 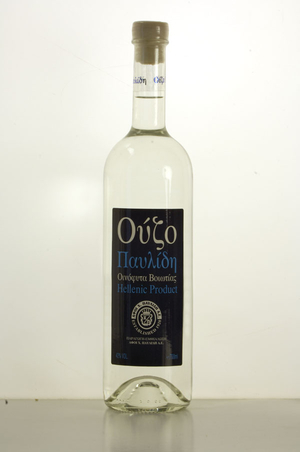 | 1 lt. | 5 lt.
Ouzo, our exclusively Greek alcoholic drink with a long tradition, has the characteristic aroma of anise and essential characteristic of it becoming the sweeter white that is well connected and in harmony with the blue of the Mediterranean. Is the combination of aromatic plants and seeds combined with alcohol and water, distilled together in traditional copper pot stills and give us this unique spirit. Each recipe separately, each combination of aromatic ingredients secret. The purpose of this unique spirit but common to unite people around a table, around a conversation around a feast, aim with the passage of time has become a tradition for the Greeks. 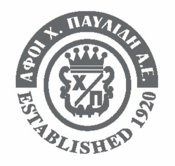 The family Pavlidis since 1920, with the utmost respect and love creates its own Ouzo claiming a deserved place in this tradition.